Hurry over to get this Easy Playhouse Crafty Cottage on sale for $23.09 Shipped (Retail $34.99). A get away to the cottage. Turn an ordinary play date or party into an adventure for your kids. Let them use their little hands and big imaginations to create a place of their own. 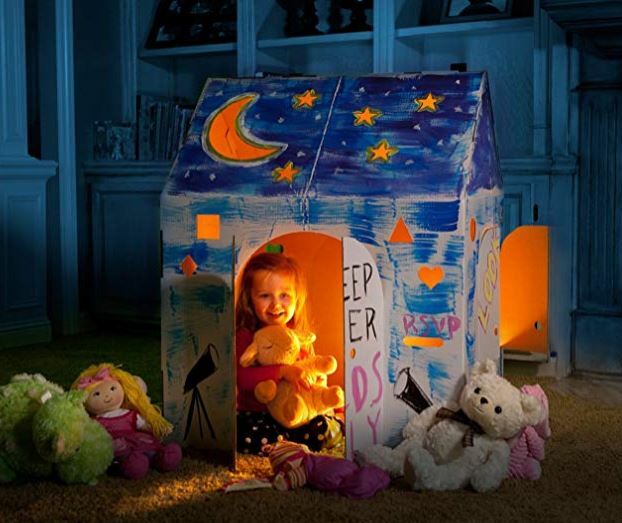 This cardboard cottage will entertain little ones for hours with good old time fun. Easy Playhouse's reversible design offers twice the creativity and twice the fun. The Crafty Cottage has only two pieces and can be assembled in 5 minutes or less. Note: the toys deals are selling out FAST! View all of the deals HERE before the best ones disappear.